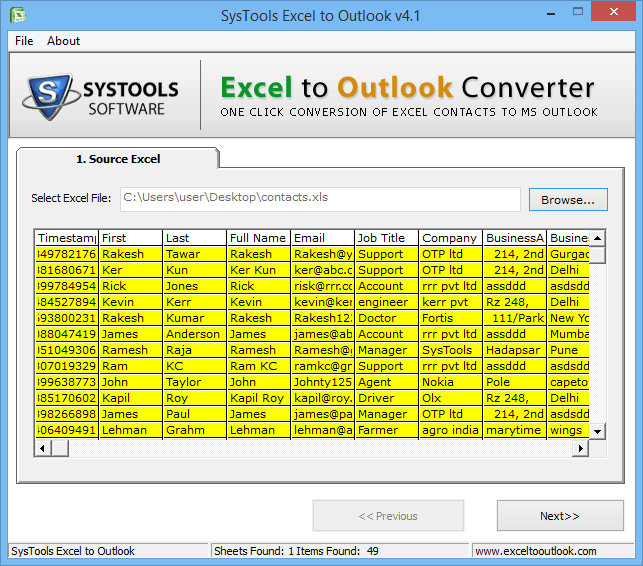 Excel files are one of the most convenient ways to store contact information. 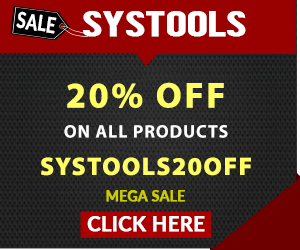 These files allow users to merge multiple files with emails, delete duplicate items, update fields simultaneously, combine various contacts using formulas and other options. 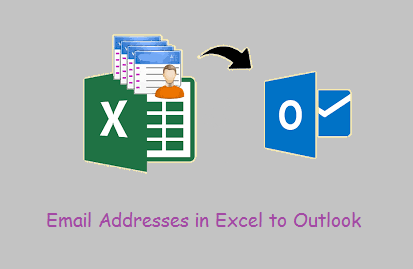 After managing data in a desired manner, one can import email addresses from excel to Outlook distribution list. But, the main question is HOW? Well, if you are stuck in the same situation and searching solutions for the same, then this article is just meant to you. 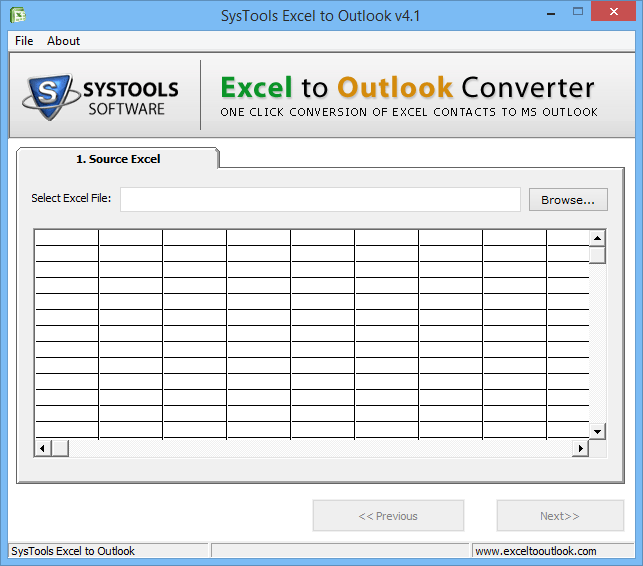 Here, we will show you how to export contacts from Excel to Outlook address book, using two simple techniques. 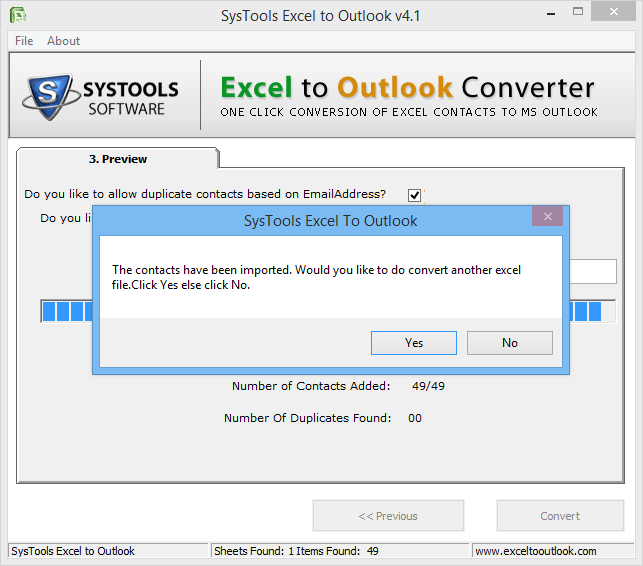 You have now converted your Excel workbook contacts as CSV file and you can directly import Excel CSV file to Outlook Contacts to import email addresses from excel to Outlook distribution list. Note. If Outlook is asking to enter a password but, you have not set a password then, just click on Cancel to continue further. Hit the Next button and browse a destination location to save contacts. Contacts will be selected by default however, if it is not selected then, scroll up or down to find it. Also, you can select a different folder or make a new one. Note. 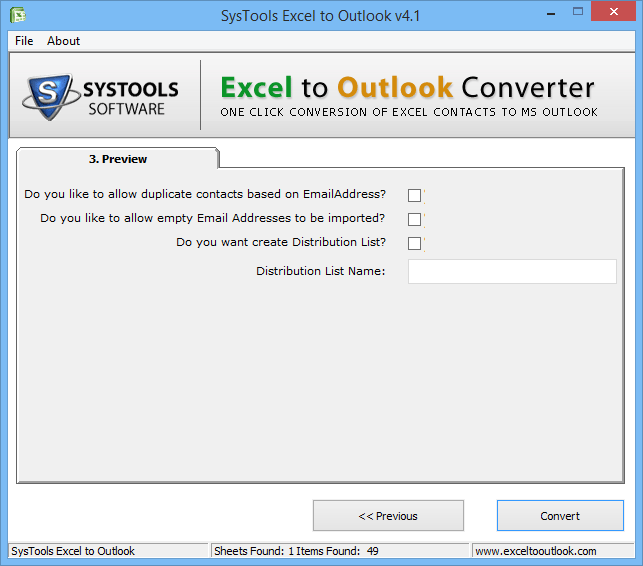 It is strictly recommended that do not hit the Finish button as you have to “map” email address and other columns in CSV to contact fields in Outlook while you import email addresses from excel to Outlook distribution list manually. 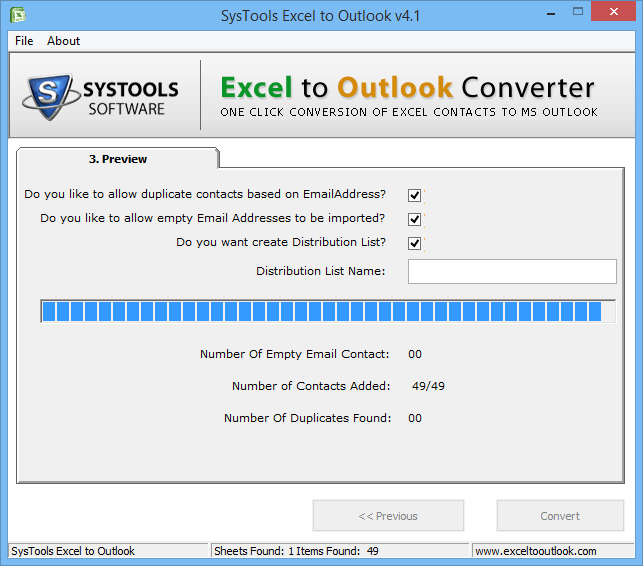 Mapping helps to import CSV contacts into Outlook in the desired way. In order to check the imported email address and other contact information, open Outlook 2016 and click on People from the navigation bar. 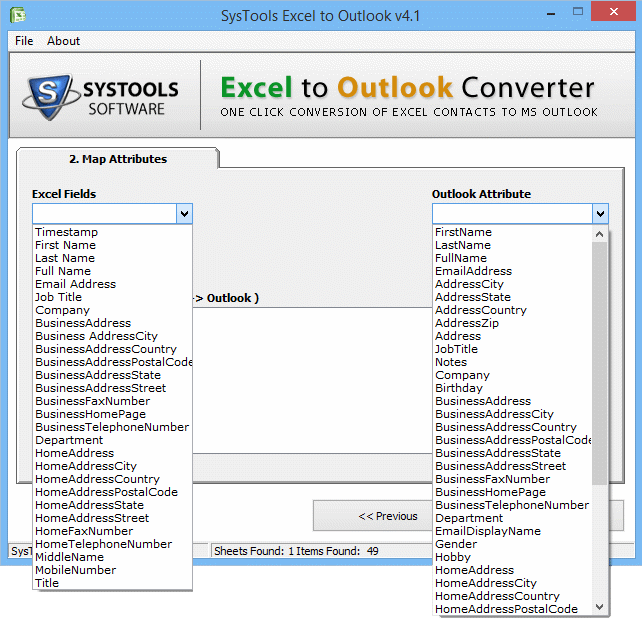 Now, you have to match the Excel fields with Outlook attributes to import email addresses from excel to Outlook distribution list. How to import email addresses from excel to Outlook distribution list is one of the most common queries searched on the Internet. This article comprises complete information about the same. Despite this, we have disclosed some manual and automatic solutions to perform this task in an efficient manner.